Ocklawaha is a small town on the north shore of Lake Weir about 10 miles northeast of The Villages (advertised as Florida's friendliest home town). This little Old Florida village doesn't have golf courses or modern shopping centers like its friendly neighbor, but it does have a lot of fishing, swimming and boating opportunities because of the clean clear waters of the spring fed lake. There are several neat little fish camp type of hotels scattered along the northern shore and one or two nice places to eat. 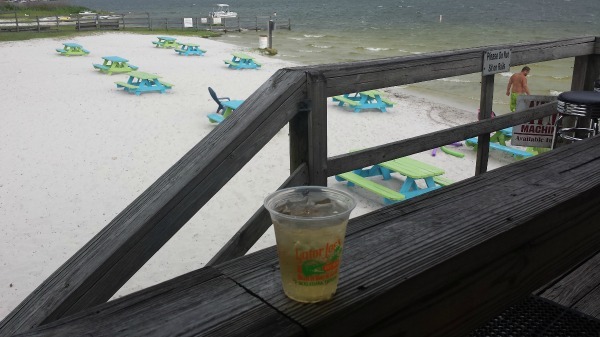 One little bar is named Ma Barker's Hideaway; a more upscale place on the lake is Gator Joe's. The town is near the southern entrance to the Ocala National Forest. The main intersection in town is State Road 25 and County Road 464C. The county road leads north to a crossing of the Ocklawaha River near Moss Bluff and on into the forest. 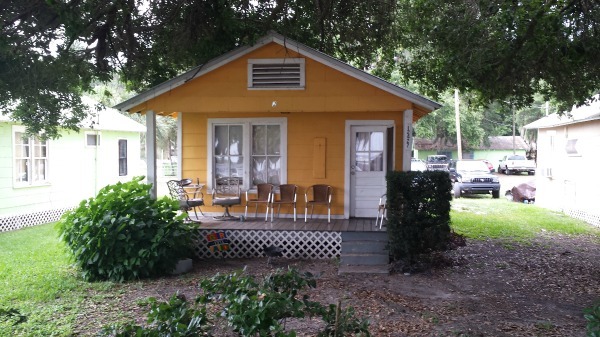 Downtown Ocklawaha is not gentrified like so many other Florida towns. It looks like hard times and has ever since I first passed through more than 50 years ago. It was once a thriving citrus packing and shipping center but bad freezes brought that industry to an end. 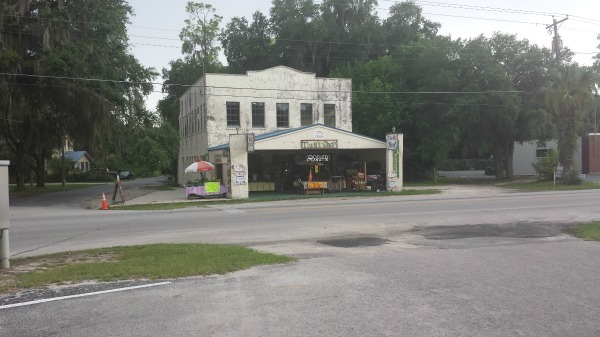 Only the old Ocklawaha Inn - now a gift shop and produce market - is a reminder of the prosperous past along with an empty old schoolhouse and an abandoned fruit shipping plant. The little town made national headlines back in January 1935 when it was the scene of a shootout between the FBI and the notorious Barker gang. Arizona Baker, known as Ma, had several sons who ran a criminal gang in the midwest. Ma traveled around with her sons as they robbed banks and kidnapped and murdered people. J. Edgar Hoover and the FBI had the gang on the public enemies list and were eager to capture them. 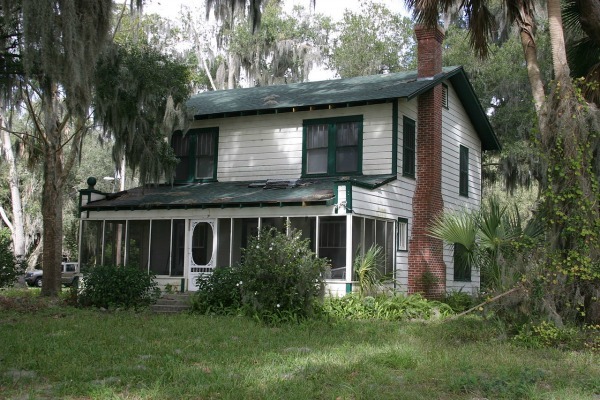 Ma Barker and her son Fred were hiding out in Ocklawaha under assumed names. They rented a cottage and were known locally as an old mother and her son getting some relaxation. One of the Barker brothers got arrested in Chicago and police found some notes referencing a big alligator named "Gator Joe". They were able to put two and two together and figured out Ma and the other gang members were hiding out in Ocklawaha, home of Gator Joe. The FBI surrounded the rented cottage and a fierce gun battle broke out. Ma and her son Fred were killed. The whole incident got good publicity for the FBI and immortal notoriety to the Barker gang. 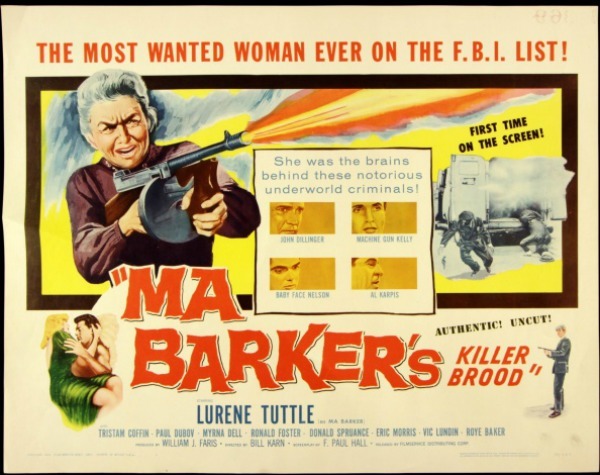 A movie was made in 1960 titled "Ma Barker's Killer Brood". The film may have made Ma out to be quite a bit worse than she actually was, but Hollywood has never been known to stick to the facts when telling a good story. The little cottage was put on a barge in 2016 and floated across Lake Weir to a new home in the Carney Island Recreation and Conservaton area. The park, owned by Marion County, will be operating the home as a museum open to the public. 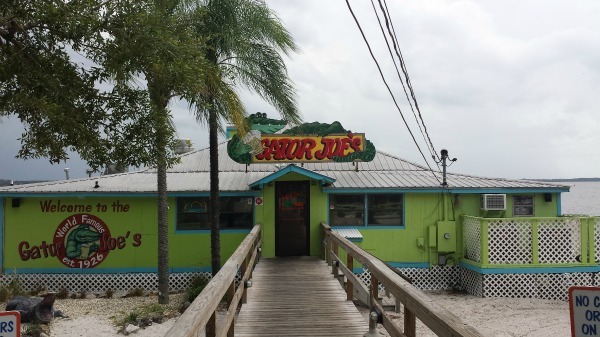 Gator Joe's sits right on the white sand beach on the north shore of Lake Weir. It is a comfortable place with inside and outside dining and an Old Florida feel to it. It's unusual in inland Florida to find a place like this on a white sand beach. Most Florida lakes have marshy shores and their beach alone makes this bar and grill a popular destination for both locals and tourists. My server at the bar was Brittany. She is typical of the staff here: friendly and helpful. Gator Joe's specializes in a wide variety of seafood prepared in a multitude of ways, many of them Southern and Caribbean. Their appetizer menu includes fried green tomatoes, fried okra, fried pickles and a host of other things such as jambalaya, shrimp and wings. It's very easy to get a full balanced meal just from sitting at the bar and eating appetizers. Entrees include both baskets and full dinners. Dinner examples are mahi mahi, pork chops, shrimp scampi and mussels linguine. Some dinners come with jerk seasoning and others are prepared Mediterranean style. Baskets include a gator tail offering, shrimp, chicken and clam strips. Everything is good. There is also a large selection of salad choices along with hamburgers and other sandwiches and wraps. They have good fish tacos too. The outside dining decks are spacious and comfortable and provide the best view of the lake and the beach activities. It's a pleasant place to sit and have a drink and enjoy the atmosphere. 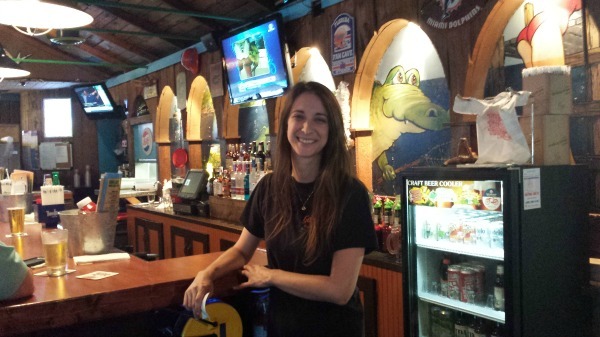 Gator Joe's has a full service bar with a large selection of beer, wine and liquor. It is open Mon-Thu from 11am to 9pm, Friday 11am to 10pm, Saturday 1030am to 10pm, and Sunday 1030am to 9pm.